If you are looking for a logical, simple plot, this Nasir Hussain movie is not for you. 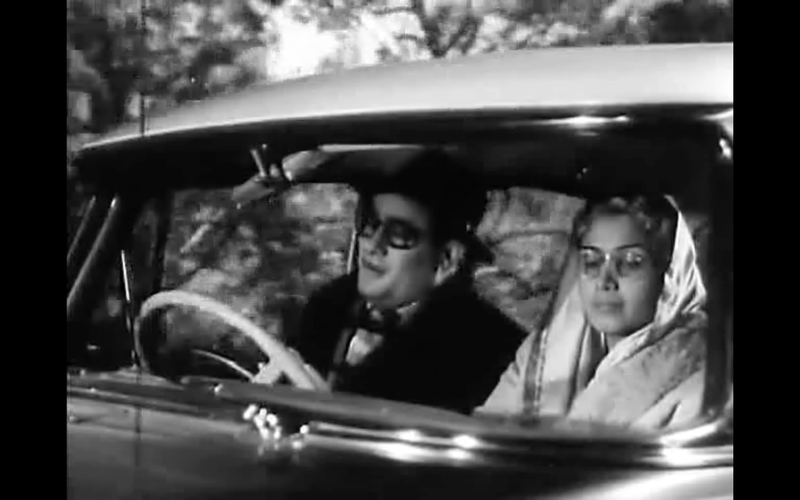 Dil Deke Dekho probably has the most convoluted, complex plot of all Nasir Hussain movies, which is interesting considering that, Tumsa Nahin Dekha (1957), Jab Pyar kisi se Hota hai (1961), Phir Wohi Dil Laya Hoon (1964) and this movie have the same basic storyline. However, in terms of the sheer entertainment value that it provides, this has no match. (And this is a biased opinion!) 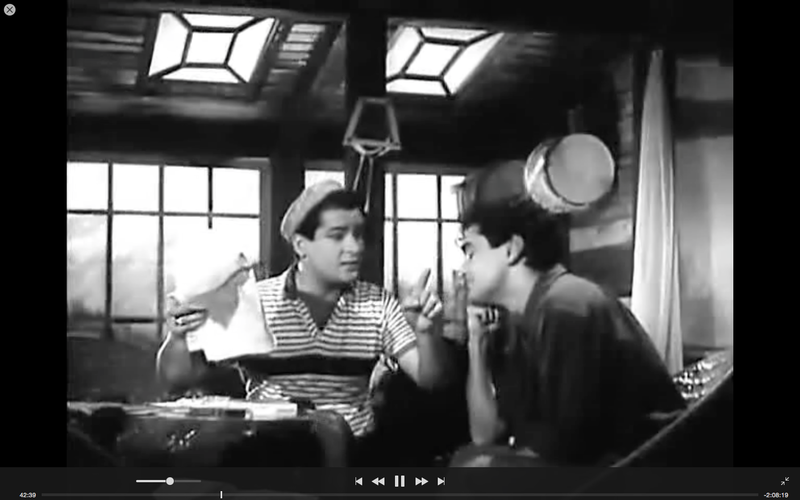 It is a Shammi Kapoor show from the beginning to the end. He is at his charming best – both in terms of looks and acting. He had played a similar role in the movie that shot him to stardom, Tumsa Nahin Dekha; but here he is even better. He is suave, and charming as he plays the perfect lover and son. Simply lovely. 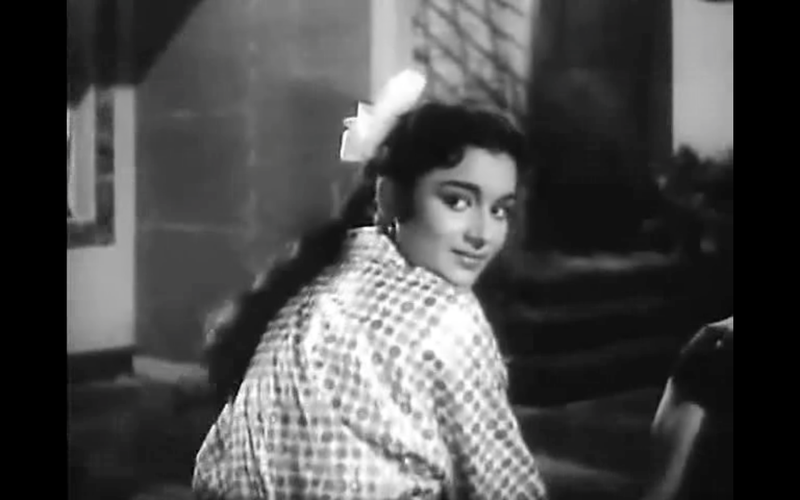 And then it has the 16 year old Asha Parekh making her debut; gauche, raw, yes, but also very pretty. Years pass. Kailash grows up to be Rajendranath. He looks after the operations of the hotel in Ranikhet that Jamuna owns. True to form, Kailash is a buffoon, silly and an idiot. Jamuna has arranged his marriage to Neeta (Asha Parekh), who is the daughter of Jagat Babu, a family friend. Jamuna has willed half her property to Neeta, and has sponsored her education in London. Now that Neeta is back in India, Jamuna and Jagat Babu want to marry her to Kailash. Neeta is hardly excited to marry the bumbling idiot, but feels a sense of obligation towards Jamuna Devi. 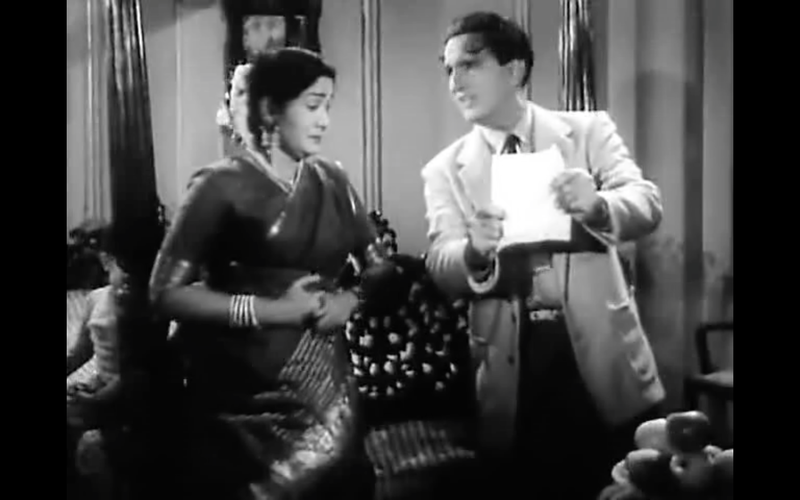 Kailash, who is happy to get his hands on her and her money, is sent to Nainital to woo her. Finally we get to meet our hero. Shortly after leaving Jamuna, Rana Raghuvir had met with an accident that blinded him. 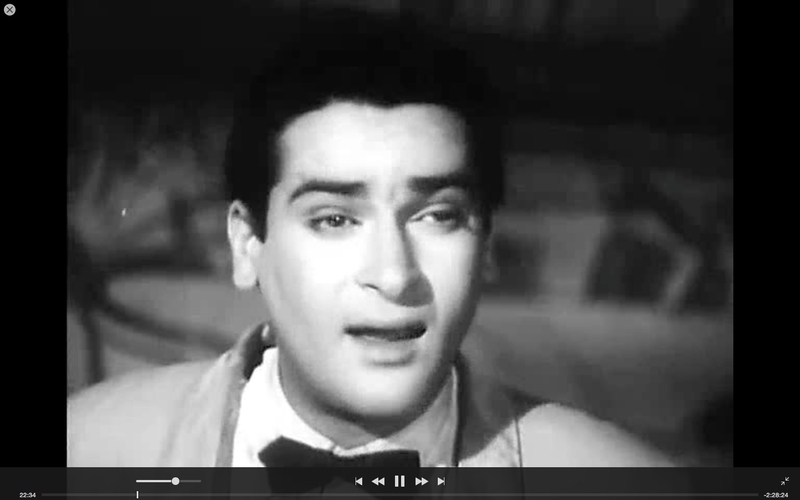 Now, his son, Roop (Shammi Kapoor) has made arrangements for his eyes to be operated upon by a surgeon in Delhi. 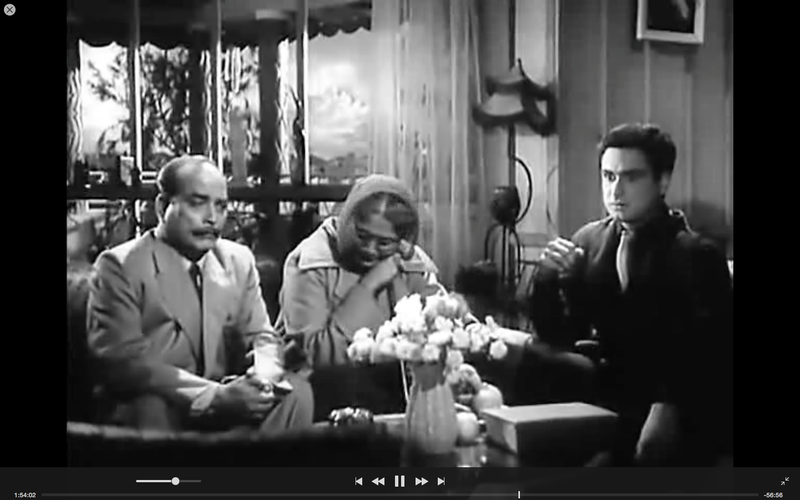 And his father’s friend, Murli (Mumtaz Ali) is to accompany him from Nainital to Delhi. For some reason, Roop is called Raja now. Since the hero and heroine have to meet and we have to have many songs, we have several digressions to the story. And very silly ones at that. There is a silly story about Neeta wanting to take revenge on one of the drummers at a hotel. The drummer is Raja, whom she wants to slap. After this incident (and the title song). Raja loses his job and his heart! He is smitten by Neeta’s beauty and Raja pursues Neeta in the scenes that follow. To send his father to Delhi, he needs the money. His friend points him to a job advert in the newspaper indicating a need for a drummer and musician in Ranikhet. Raja is not too keen as he has thought of another way to make money. He poses as Professor Saamri, a private investigator and has placed an ad in the local newspaper. To his surprise, there are responses from two possible clients – Kailash and Neeta. Kailash wants Saamri to get rid of some chap called Chandra. He suspects Neeta is getting too fond of him. And Neeta wants Saamri to get rid of Kailash. This leads to many idiotic scenes and both Chandra and Kailash get kicked out. Neeta is thankful to Saamri. Roop/ Raja sends his father then to Delhi. 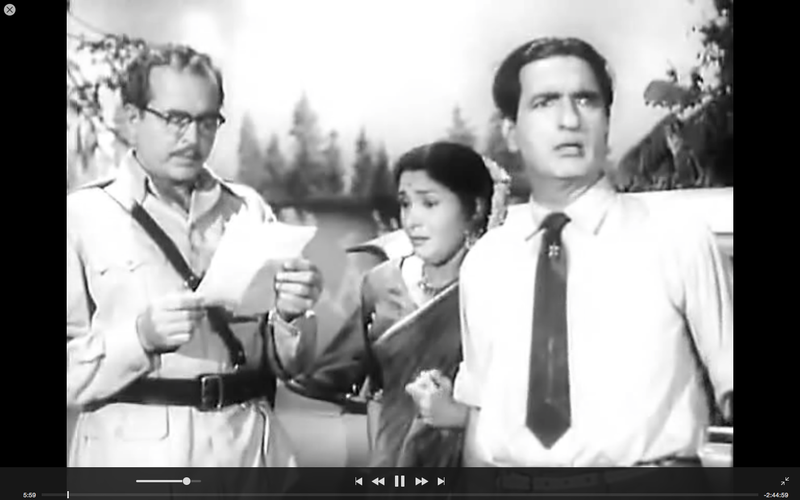 As Rana Raghuvir and Murli set off to Delhi, Rana is recognised by Jagat Babu who informs Jamuna. In the train station, Rana is recognised by his old enemy, the drunkard Harichand, who is now back from Rangoon along with his son Sohan. The two crooks snoop about a bit both in Nainital and in Ranikhet. And once they realise that Jamuna has willed half her wealth to Roop, all Sohan has to do is to convince that he is Roop and get married to Neeta. Does Neeta fall in love with Raja/ Roop? Does Jamuna Devi find her real son? Will she reunite with her ‘handsome’ husband? Dil Deke Dekho answers all these questions, combining many more subplots, twists, misunderstandings, villainy, inane comedy and romance! My two cents: No matter how many times I have watched this, I still do not exactly remember the various sub plots, twists, threads that run through the plot. 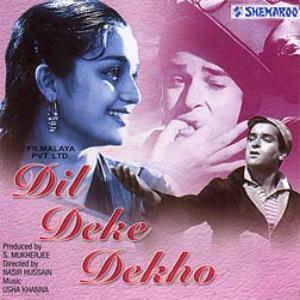 Dil Deke Dekho remains a helluva entertaining movie to watch, primarily due to Shammi Kapoor. The plot be damned, one needs to watch it to ogle at Mr Kapoor. It showcases him in his charming best. 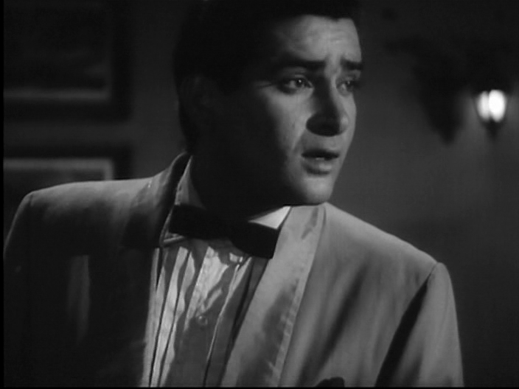 Shammi Kapoor is a lot of fun and lights up every scene as he plays the perfect hero, perfect lover and son. And he looks so good! And then there is Asha Parekh. 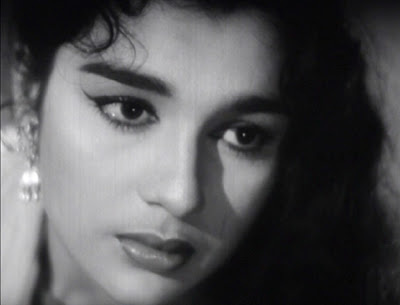 She looks picture-perfect pretty and complements Shammi Kapoor. Usha Khanna makes her debut as a music director here. Even though, at least three of the songs are direct and good copies of English songs (Pyar ki Kasam hai, Dil Deke Dekho and O Meri Neeta), the rest of the songs are very nice. Rafi and Asha Bhosle infuse the songs with the much needed joie-de-vivre.My favourites are the very romantic Hum aur tum aur yeh sama, Raahi mil gaye raahon mein, and Bade hain dil ke kaale. The last week had been a stressful one and when I thought of which movie to watch and unwind, it is this convoluted Nasir Hussain that came to my mind. (And to be honest, after Mere Sanam, I was dying to watch a Shammi Kapoor movie.) I have lost count of how many times I have seen Dil Deke Dekho, this still remains as entertaining and delightful as it was the first time. This entry was posted in Movie reviews and tagged Asha Bhosle, Asha Parekh, Dil Deke dekho, Mohd. 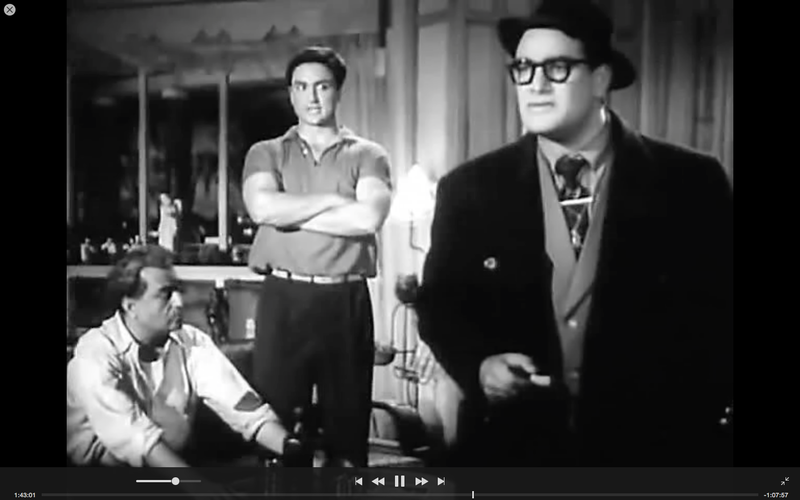 Rafi, Nasir Hussain, Rajendranath, Shammi Kapoor, Sulochana, Surendra, Usha Khanna. Bookmark the permalink. Liked your review, Harini. 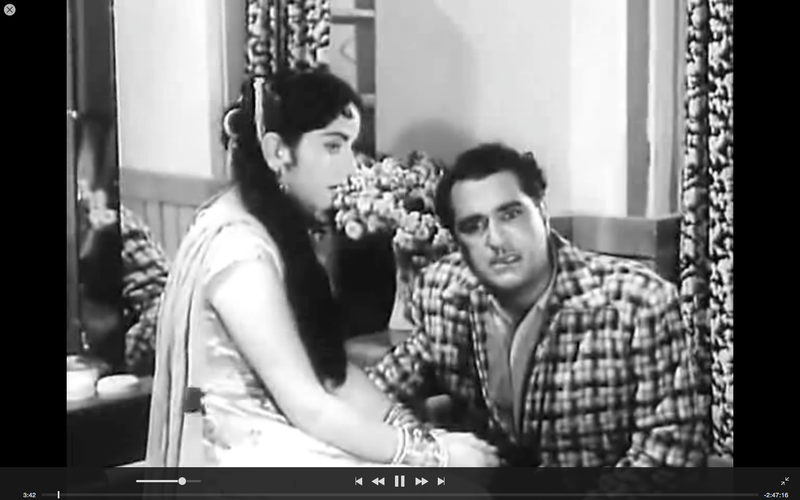 And that “Mere husn aur jawaani” dialogue from Surendra always cracks me up. Come on. 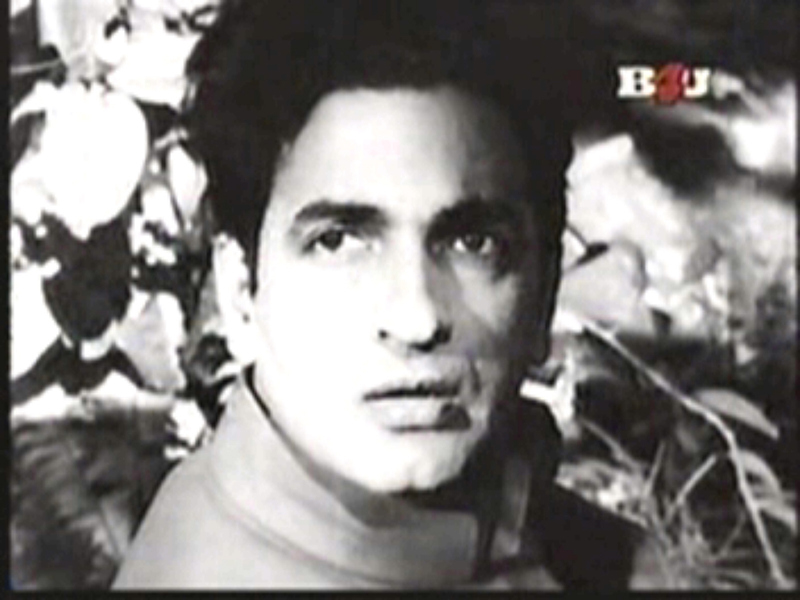 Though (as I saw,to my surprise) on Richard’s blog, there’s a very early photo of Surendra – from before Anmol Ghadi too, and he did look pretty dishy. Nowhere in the same league as Shammi Kapoor, but certainly not bad. By the time Dil Deke Dekho came around, though, he was too long in the tooth for a dialogue like that. I have not seen China Town in decades; have forgotten the story. Will watch it then. 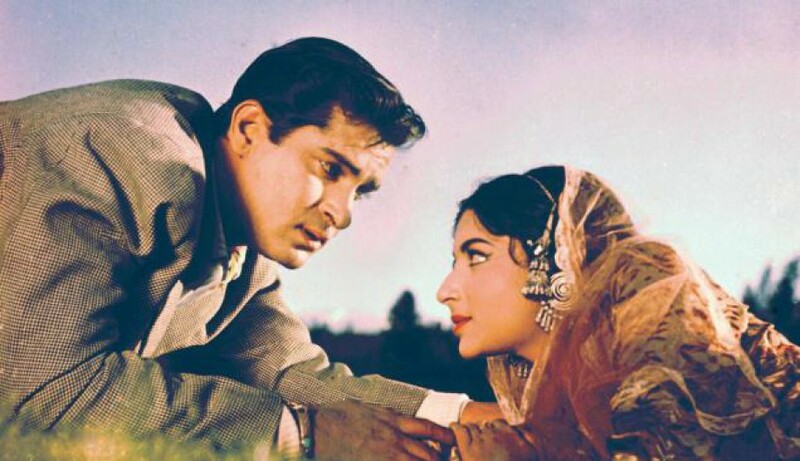 Pingback: Carnival of Blogs on Golden Era of Hindi Film Music – May 2015 | The world is too small? or Is it?